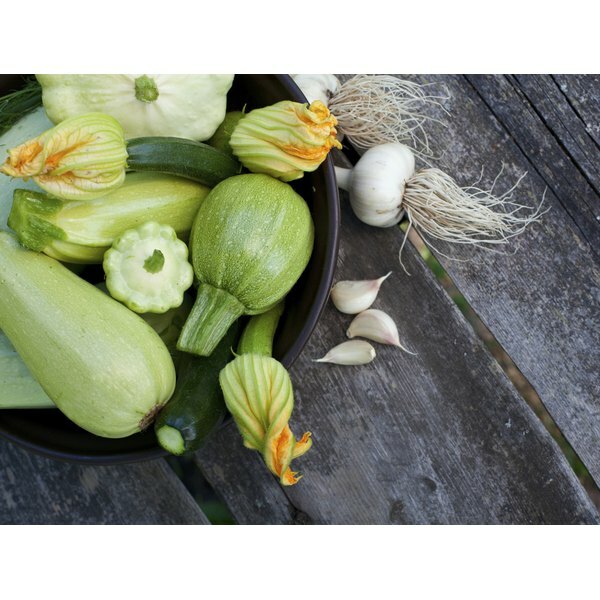 Choose firm, bright-colored zucchini with smooth skin free of blemishes. With soft, moist flesh, paper-thin skin and tender, translucent seeds, zucchini is one of the easiest vegetables to juice. You don't need a juicer, either; a blender or food processor -- in conjunction with the "wringing" method -- liquifies the flesh and extracts the maximum amount of moisture from the zucchini. The wringing method of finishing a puree uses the fineness of cheesecloth to trap the solids while a bit of twisting squeezes the last traces of juice -- and flavor -- from the liquified zucchini. Wash the zucchini in cool water. 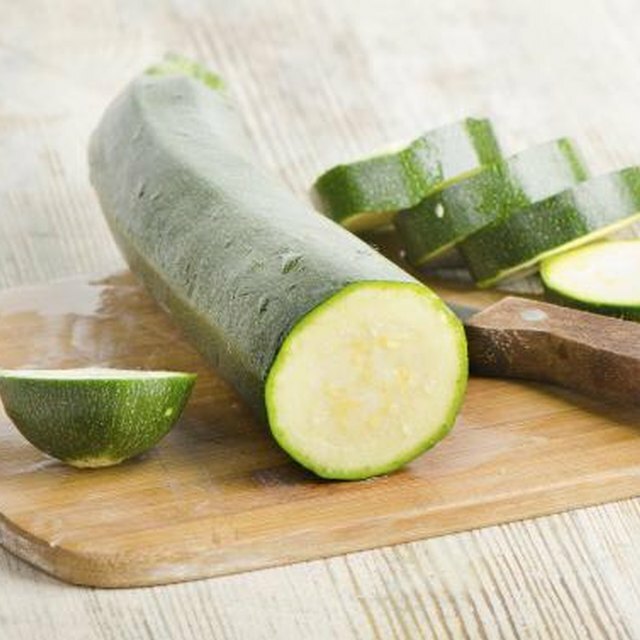 If your zucchini has been coated with produce wax, remove it using a vegetable brush and warm water. Cut the zucchini into 1-inch pieces and pulse them in the food processor or blender until liquified, 45 seconds to 1 minute. Pour the processed zucchini through a fine-mesh sieve lined with cheesecloth and into a bowl. Press the zucchini solids with the back of a spoon to extract the juice. Bring the corners of the cheesecloth together and grasp them in your hand. Twist the bottom of the cheesecloth tightly to wring the remaining juice from the zucchini solids. Use the zucchini juice immediately or store it in the refrigerator in an airtight container up to 12 hours. If using a vegetable juicer, cut off the zucchini stem before feeding it into the hopper.